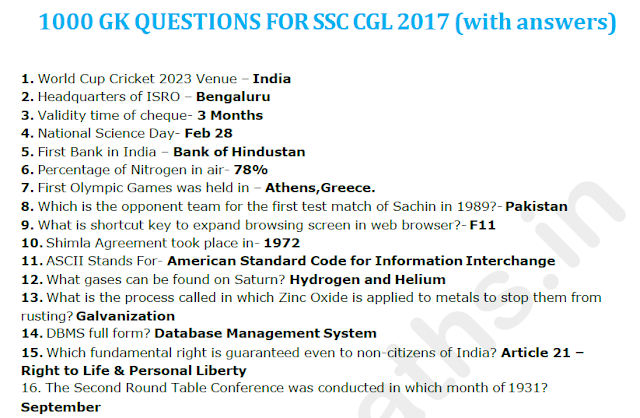 Today we are sharing a compilation of 1000 General Knowledge (GK) Questions for SSC CGL 2017 Examination in PDF. This PDF is very Important and should be read at least once thoroughly. 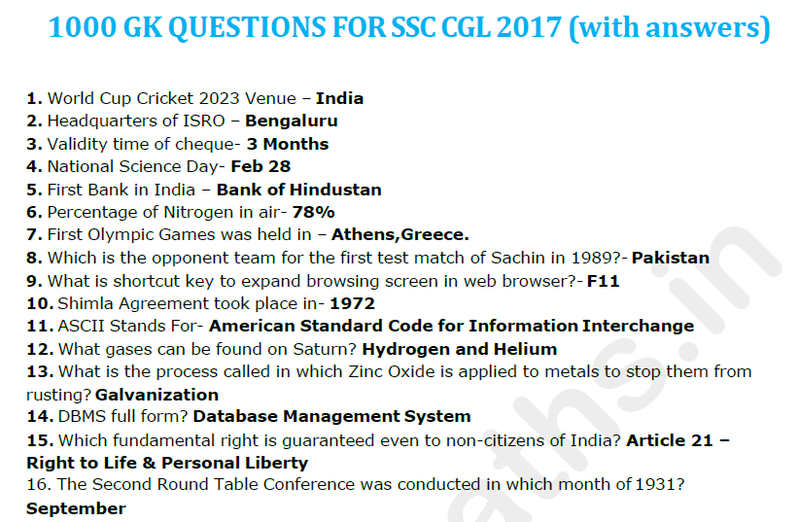 You may Download it from the links provided below.